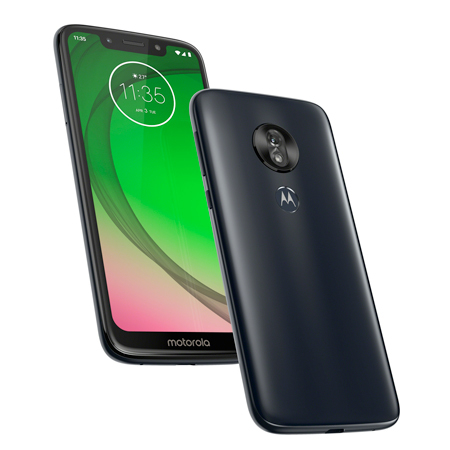 The water-repellent design of the Moto G7 protects against accidental spills, sweat, and light rain. Enjoy more for longer thanks to the 40-hour, 3000 mAg battery with rapid charging. When you’re low on power, the 10W rapid charger gives you hours of power in just minutes. Enjoy 110% faster performance without delays and interruptions while gaming or streaming thanks to a Qualcomm® Snapdragon™ 632 octa-core processor, with 1.8GHz octa-core CPU and Adreno 506 GPU. The Moto G7 Play is crafted for lag-free performance in everything you do. Capture the moment on the 13 Megapixel rear camera, that uses phase detection autofocus (PDAF) to capture your subject in an instant. Selfie shots are perfected on the 8 megapixel front camera, with built-in flash for low light conditions. With facial recognition software in the front-facing camera, you can unlock your phone with a glance. Fingerprint sensor on the back of the handset also keeps your data and handset secure. 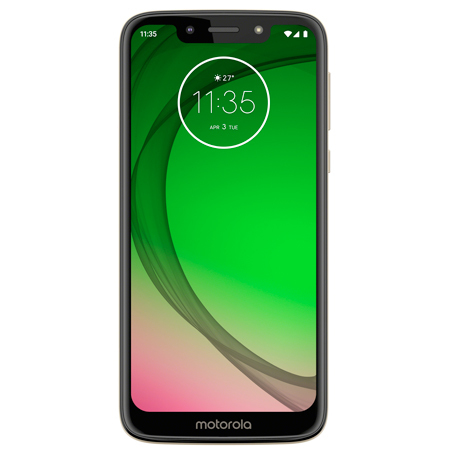 Take in the expansive view of the Moto G7 Play thanks to an edge-to-edge, 5.7 inch HD+ display. The 19:9 aspect ratio provides a big screen viewing experience, that still fits comfortably in your hand. he fingerprint reader to wake up and unlock your phone. Corning® Gorilla® Glass 3 adds additional protection to the device.